PlexyDesk Mac OS X-Sprint 2. 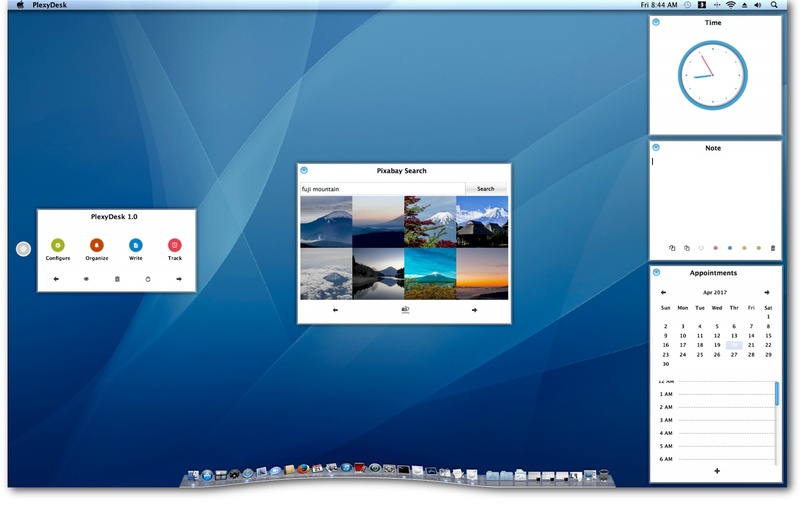 Apple Software and Hardware usually follow the same design but Plexydesk was designed for modern Macs, which made the default theme look out of place on vintage apple computers. A large part of this sprint was allocated for designing a new theme that would mimic the Aqua look and feel. The following segments will cover the theme elements in detail. Window frames are modeled after the bezel of an iMac G4, embedding the window content in a plastic frame and drawing the shadows underneath, to give a photo realistic appearance. 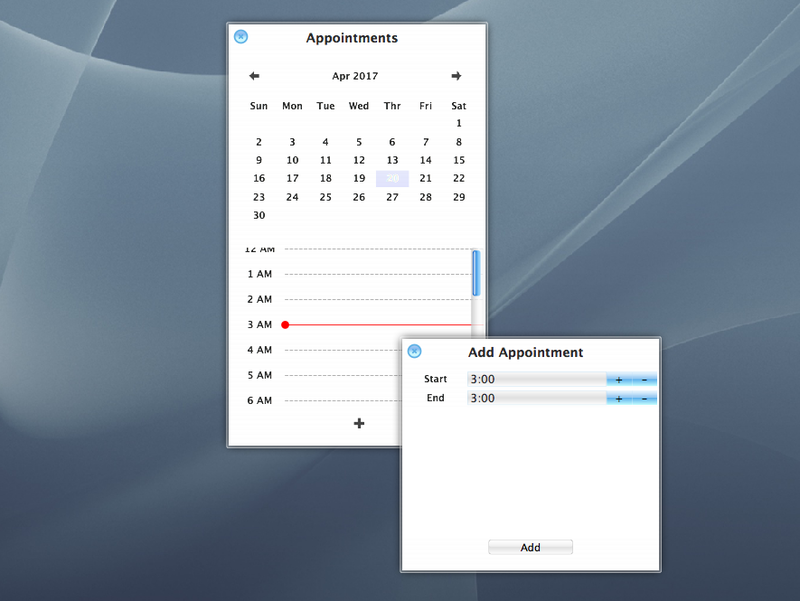 The current note widget has many critical layout and stability issues resulting in bad user experience. This led us to write a new lightweight text widget with its own layout handling, which lets the user tweak and control every part of the text rendering. 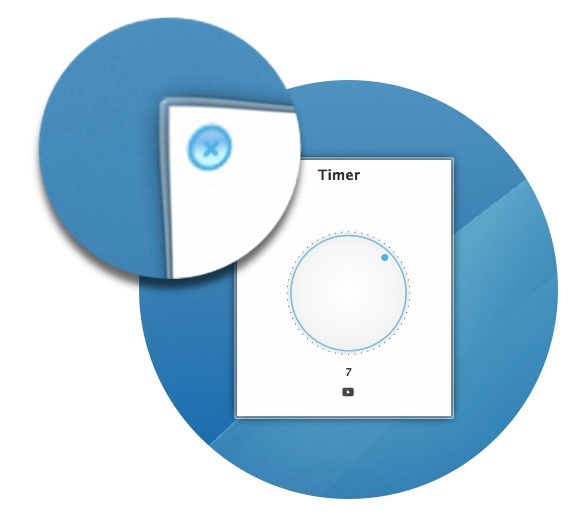 The new note widget delivers faster text rendering, shorter load time, and good UI/UX experience. Following image demonstrates the improvements made during this sprint. Qt4 uses the CPU to render DropShadows, and this makes rendering super slow on old computers so we turned it off for the initial release. But during this sprint we switch to Quartz 2D to render hardware accelerated shadows with OpenGL and drop shadows are left 'On' by default. New Crystal Applied to PlexyDesk Components. 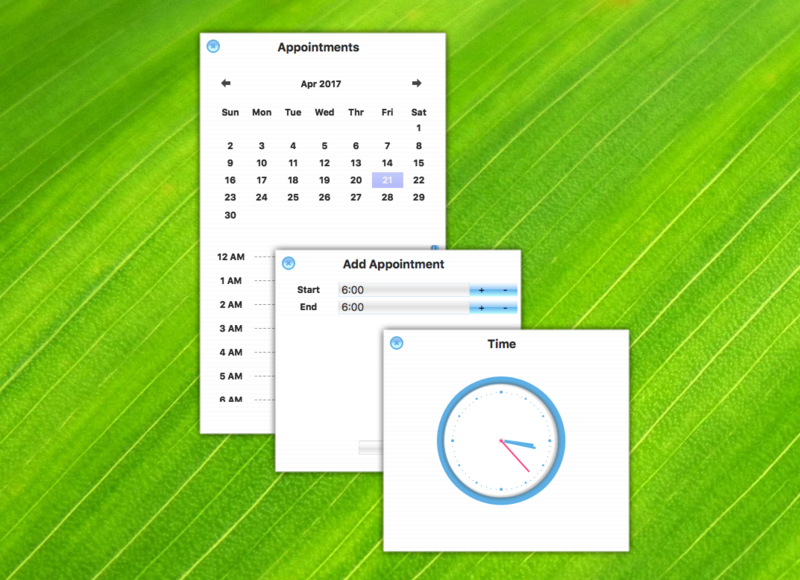 PlexyDesk provides developers with ready-made components which they can easily integrate into their widgets, such as the calendar, clock and an easy to use, fixed layout. PlexyDesk for mac uses OpenGL under the hood to render your desktop without burdening your CPU. With our new changes PlexyDesk should run even faster and render much better. We also stopped anti-aliasing tiny fonts and small icons, which should now render crisp and clear on old low resolution macs. We also switched to using QImages instead of QPixmaps to give more precise rendering to icons on low-resolution macs. Zero Memory Leaks. Half the RAM usage. We spent considerable time hunting for memory leaks, and fixed and covered all the possible leakages on Mac, While We were at it, We looked into ways of optimizing memory usage, and as a result PlexyDesk now uses half the amount of RAM than it previously did, making it faster even on G3 Mac's running OS X Tiger. Visit the PlexyDesk Store to download the donationware or compile the binary your self from https://code.plexydesk.org/plexydesk/plexydesk/.